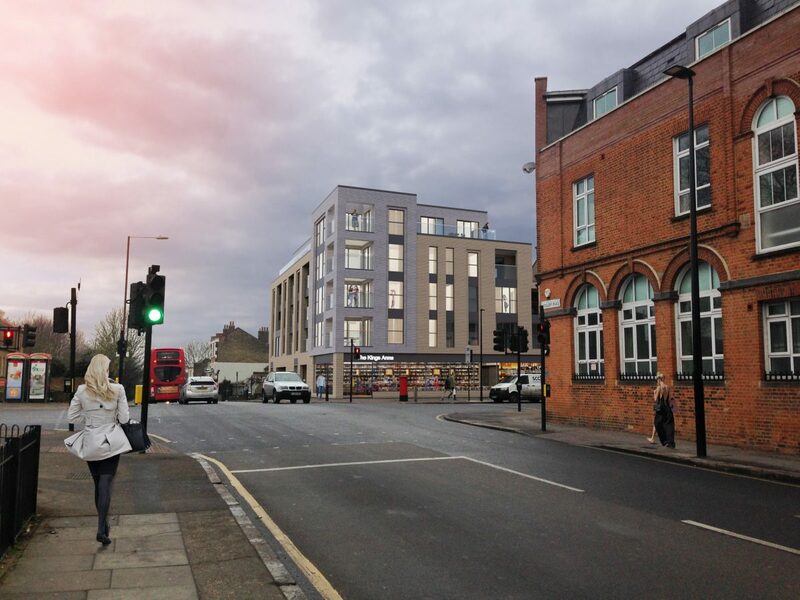 Bowman Riley has designed a new five-storey residential building with a public house at basement and on the ground floor on a brownfield site of a former public house in Woolwich, south east London. The new apartment block adds to the redevelopment of the area providing 19 residential units with private balconies, a large communal amenity space and nine car parking spaces. The proposal has been carefully designed with the form and materials chosen create a contextual response that respects and enhances the streetscape by incorporating a clean and contemporary aesthetic. 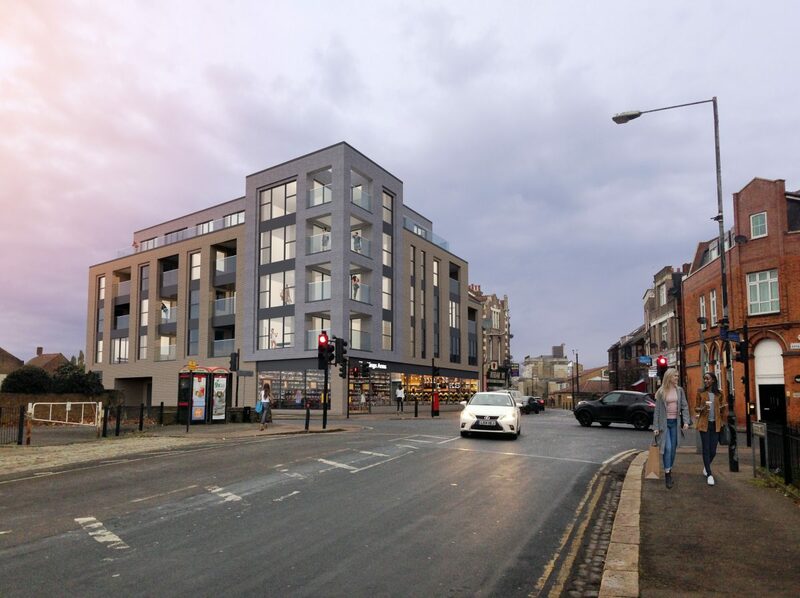 The development provides a striking addition to the street scene on a prominent corner plot, contributing positively to the continued regeneration of the area and giving the community a new hub in the form of a replacement pub. We supported our client through the planning process alongside the planning consultant. The project has been designed to meet all London plan standards whilst maximising the amount of development on a small brownfield site. Working closely with the council was key to create a landmark corner building that was innovative in terms of design and fabrication. The scheme has been designed to have 100% carbon emissions reduction in the introduction of mechanical heat recovery, solar panels, and rainwater harvesting. It has been agreed that we will install electric car charging facilities for the ever-growing demand for electric vehicles in this area. The scheme has been designed to maximise light into the units whilst taking into consideration overheating and delivering high air quality in an urban area. The introduction of green roofs allows for attenuation of rainwater and attract biodiversity to the development. We have also created a shared amenity garden to allow for community interaction amongst the new residents. The property has also been designed to lifetime homes standards. In recent years Woolwich started to enjoy the beginning of a renaissance with the new residential redevelopments across the town, the opening of the Woolwich Arsenal DLR station in 2009 and the arrival of Crossrail in 2018.